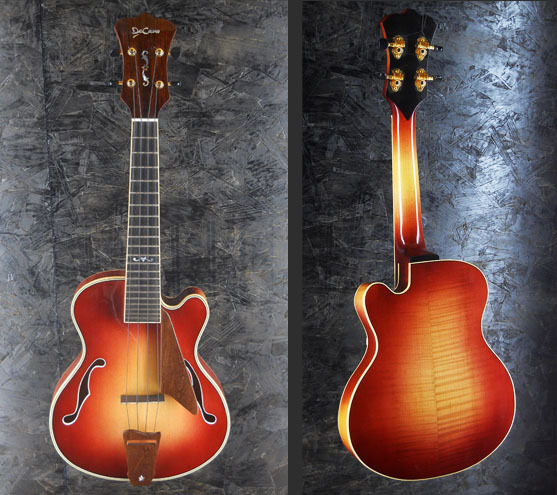 The body on these instruments is the same as a full sized archtop guitar, except that the back is not carved, but is like the back of a traditional uke, in order to allow more volume when using nylon strings. The tops are carved from solid spruce, hand graduated, light weight, and very responsive. The body, sound holes, and neck are edged with white or cream colored bindings to give these instruments the true "jazz" look and feel.